Omega redesigned the Seamaster 300M Professional for 2018 and below are some hands-on shots to give you an idea of what it looks like in the flesh. The Seamaster 300M Professional case features Omega’s famous twisted (lyre) lugs and measures 42 mm x 13.56 mm and each version now comes with a ceramic bezel insert and a Ceragold or white enamel filled diving scale. At 300 meters the watch achieves 3 times the water-resistance required to be an ISO 6425 dive watch. It also features a helium-escape valve for saturation diving, which is not a prerequisite of the aforementioned standard. 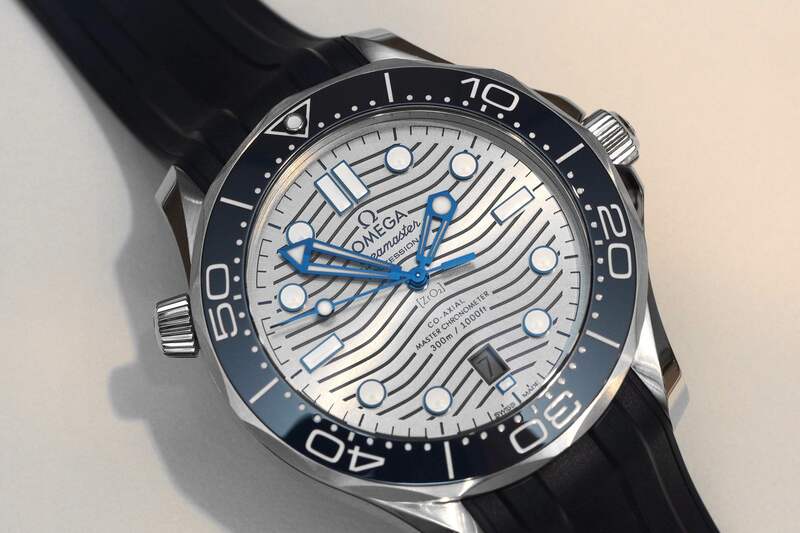 One of the cool new details is that the dials are made from polished ceramic, and all versions feature the original wavy pattern from the original 1993s Seamaster Professional 300 mm collection, although it has been laser engraved for this all-new model. The luminous indices are applied and have a prominent three-dimensional effect. 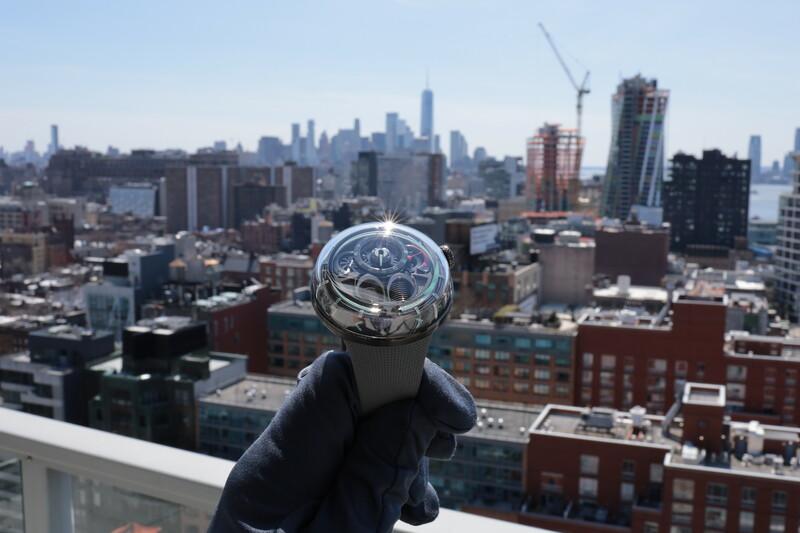 The super-wide sword-shaped hands ( that are either rhodium-plated, 18K gold, or blued) have been skeletonized and like the hour markers feature luminescent material for excellent low-light visibility. A lollipop tipped seconds hand is also filled with lume, so you can see that the watch is still running, even underwater, which is a requirement of the ISO6425 diving standard. There has always been a helium escape valve, although, with this new model, the screw-down valve has been given a new, arguably better looking conical shape. The dial is marked “CO-AXIAL, MASTER CHRONOMETER, 300m / 1000ft) which signifies the all-new METAS-certified caliber 8800 movement underneath. It also has “ZrO2” just under the hand stack, which is the symbol for ceramic. This technologically superior movement is visible through a sapphire caseback. Automatic Co-Axial Master Chronometer caliber 8800 beats at a rate of 3.5Hz (25,200 vph), winds in both directions, has a free sprung balance wheel, silicon balance spring, a traversing balance bridge, 35 jewels, a 55-hour power reserve, and an incredible 15’000 Gauss magnetic resistance (a hallmark of the Metas certification specifications, which only Omega is currently capable of producing). 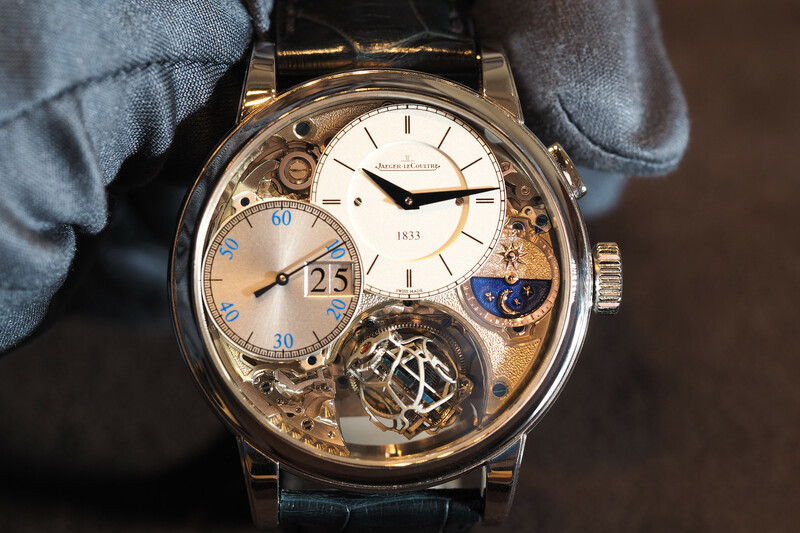 The movement has been rhodium-plating on the bridges and winding rotor, and then finished with Geneva waves in arabesque pattern, and is contrasted by blackened screws, barrel and balance wheel. Although the price goes up substantially for those Seamasters with precious metals, the starting price is quite attractive in steel, especially considering it also features a ceramic bezel and dial, a robust in-house movement, and legitimate professional specifications. Personally, I like the steel with silver dial and blue bezel, or the steel with black dial and red gold bezel and accents. 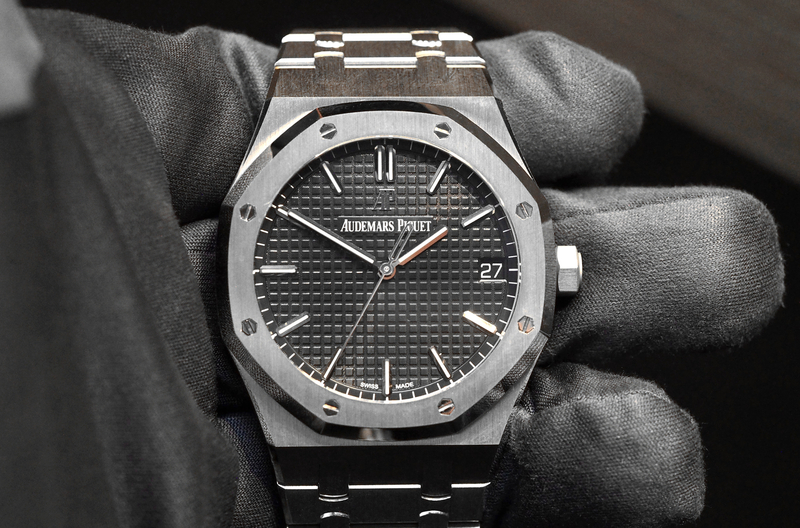 Although this is a rugged professional “tool” watch, the size is conservative enough to wear under a long shirt sleeve. The retail price is $4,750 for the basic steel models on a rubber strap, $4,850 on a bracelet, and $9,700 in steel with gold accents. The tantalum/titanium/gold limited edition model is $13,000.